Discussion in 'Guitars in General' started by BrentSP, May 9, 2016. Honestly, I've never been a strat guy, always have leaned on my Les Pauls for anything and everything which is strange since I cut my teeth on SRV. With that said, the older I get the more I like strats and teles and have a desire for that sound. I have a really nice sounding strat HSS deluxe with antiquities that I've had since 2008, but this 63 CS is a tone monster and oh so warm but with cut. Truley remarkable tool that feels old and broken in with a fantastic bell like voice. 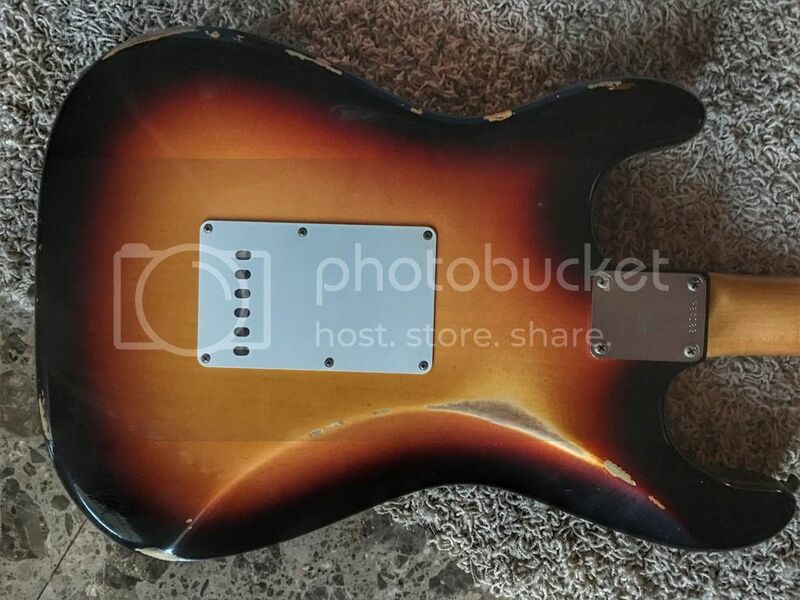 There were 3 to choose from and only 1 of the 3 had this really nice flamed neck. Guess which one I bought? I'm in love. Clean-Tone, Stu Cats, Ugly Bunny and 21 others like this. Beautiful guitar, play it in good health. I love Stratocasters. Man that's gorgeous! The flame on that neck is killer! Digidog, BrentSP, dansworld and 1 other person like this. 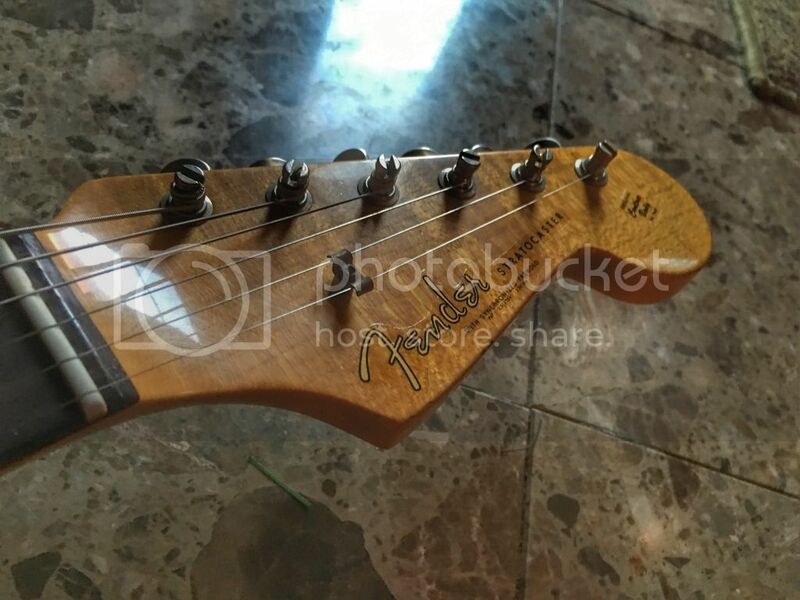 Gorgeous Strat you've got there, I especially LOVE the neck. 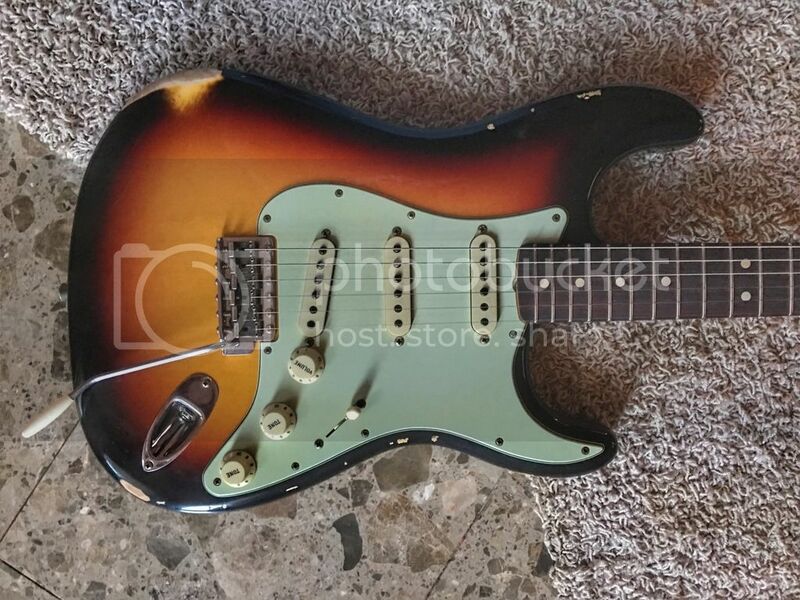 You just can't go wrong with a CS relic, they simply have that perfect Strat vibe! Congrats on your new Strat! Long may you jam together! It's the stock CS pickups for that era is what a fender rep told me. 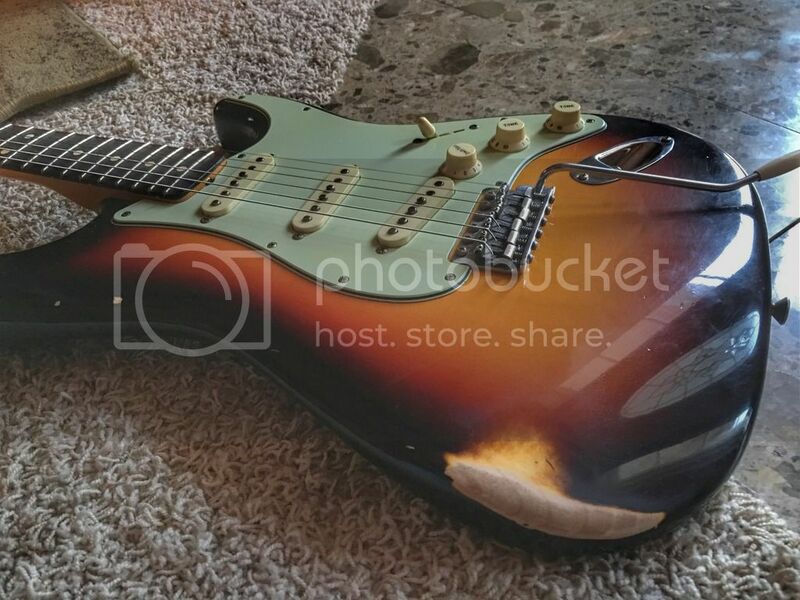 Where did you purchase this guitar? I am starting to have gas for one, especially for one that has the flamed neck. It was from sweetwater. There were 3 to choose from and this one happen to have a flamed neck, the other two didn't. JamCave Studio, MrAtomic, bluesjuke and 3 others like this. 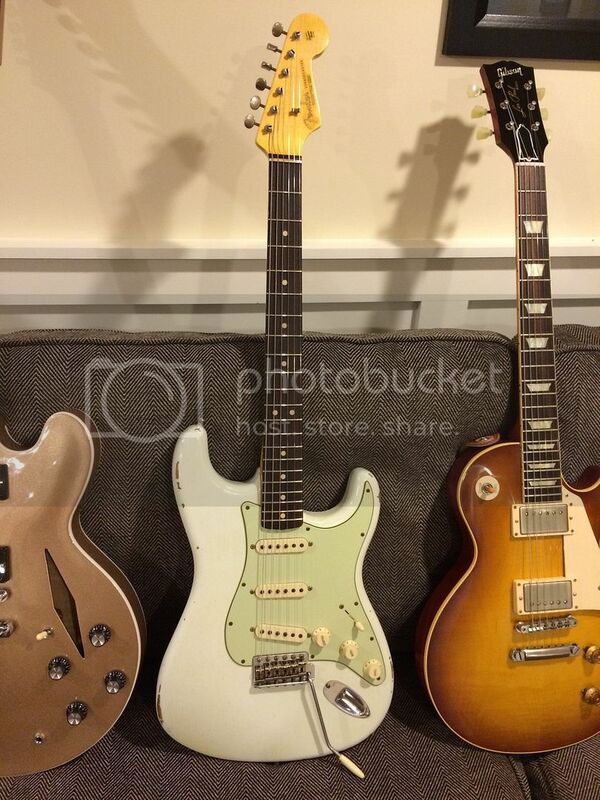 Congrats and a great looking body with a nice looking mint green pickguard. 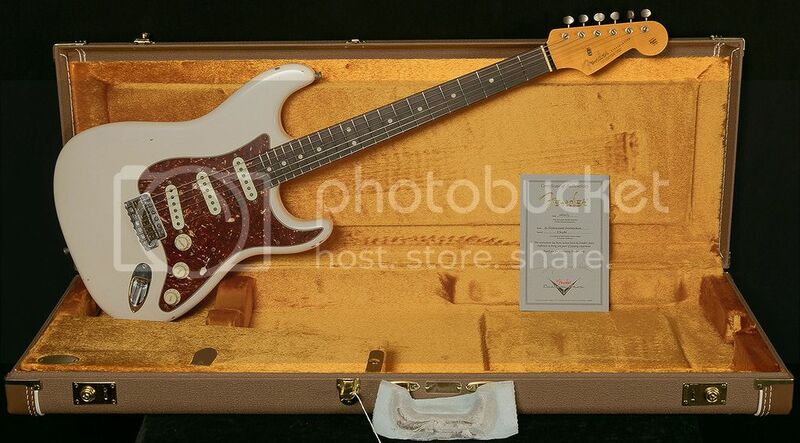 Quite why Fender CS call this a '63 though is inappropriate considering the fingerboard looks more a 'slab'. 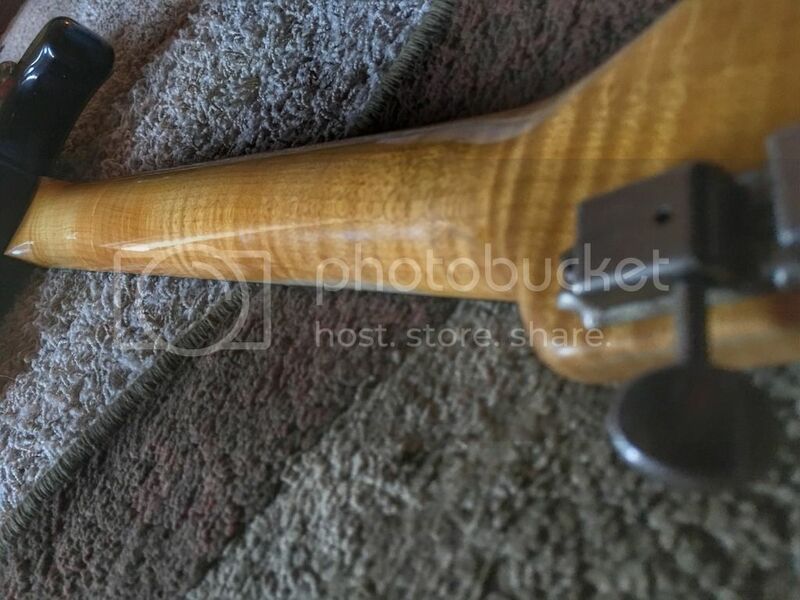 That said, a slab fingerboard is better, (IMO) that the thinner veneer type they were using on an original '63 I owned in the early 90's, (and mine certainly did not have a great looking flame maple neck). what's the official color on that?